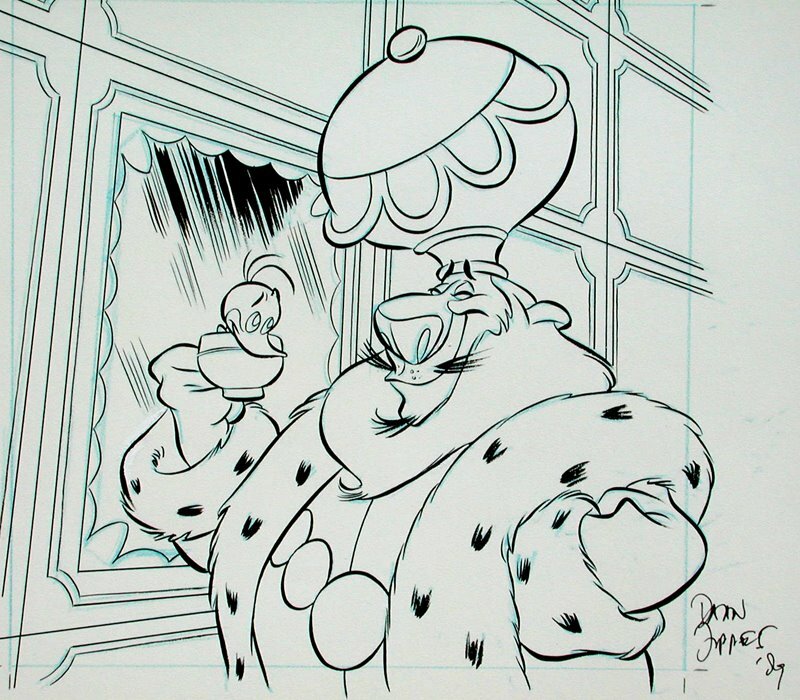 during the time in 1989, when DAAN JIPPES and I worked together on the pre-production of disney’s BEAUTY AND THE BEAST in L.A., DAAN helped me out with some merchandise illustrations for ALFRED J.KWAK. blue-pencil sketch and inking by the master himself, illustration size about 20 x 20 cm. Du lieber Himmel, they’re beautiful. Daan is a wiz. He can play every style! Thanks for posting this. Thanks god ! This blog is amazing ! These are so beautiful; thanks for posting these! 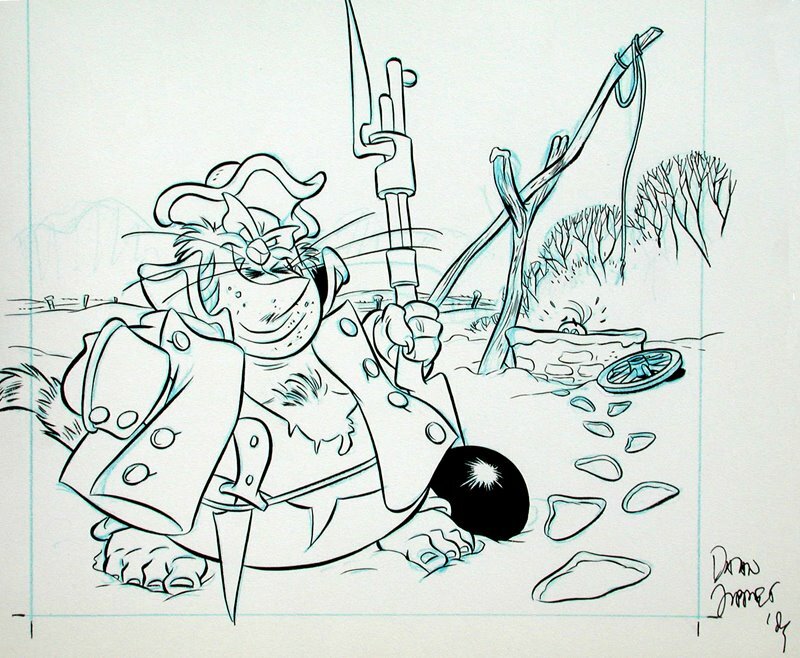 Jippes’ inking is incredible! Fantastic lines. Big fan of his Donald Duck and disney comic covers as well, they have such good dynamic poses and compositions. Amazing how shadows can draw volumes with no real colors. 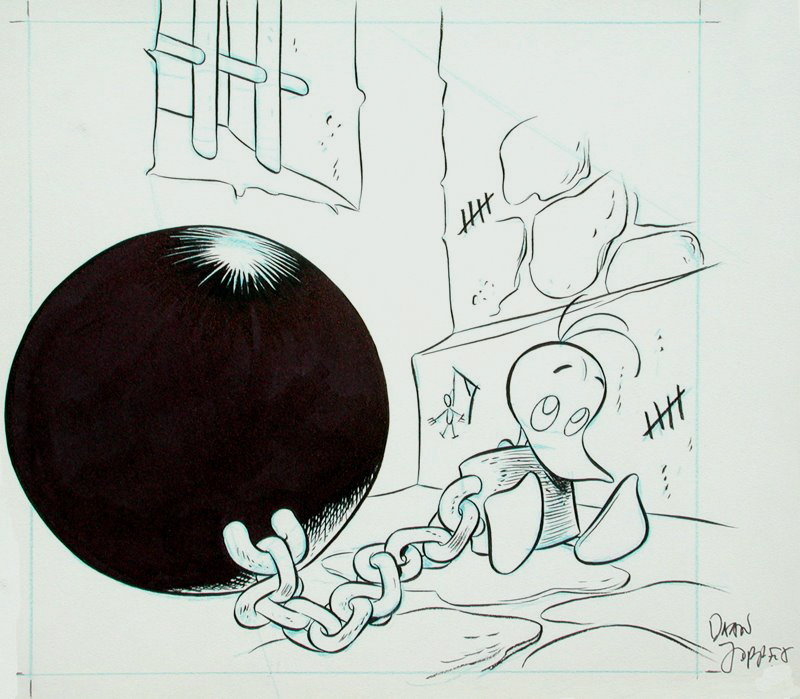 I mean just look at the balls the duck and the pirate cat (I think that’s a cat?) are chained to. I mean OMG! Those do look like round balls not just some black stains. Great work, I love it!